Japan's bureaucratic administration has three levels; national, prefectural and municipal. There are 47 prefectures each with their own flag. 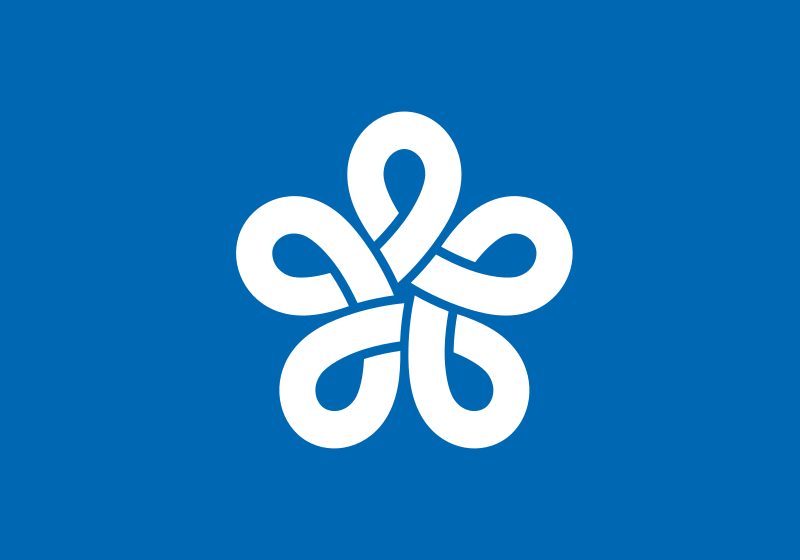 Japan's prefecture flags can teach us a great deal about branding and visual identity design; the importance of simplicity and clarity, the requirement for a shared graphical language and consistency, critical use of colour, symmetry, circles and nature. In this post, I dissect these topics. 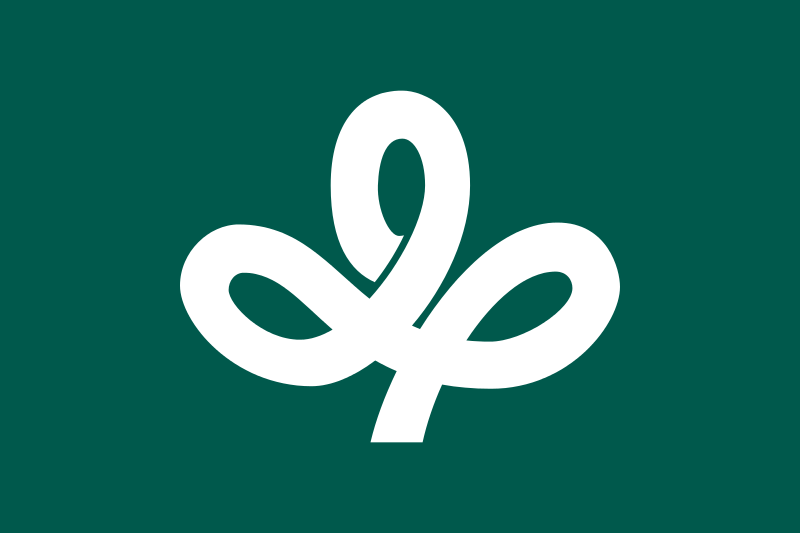 Clear messages through simplistic shapes help to differentiate the prefecture identities. The most memorable corporate identities often use clear and simple images within their design, creating memorable links between the identity and their values. Aichi, a stylised hiragana of あいち (Aichi). 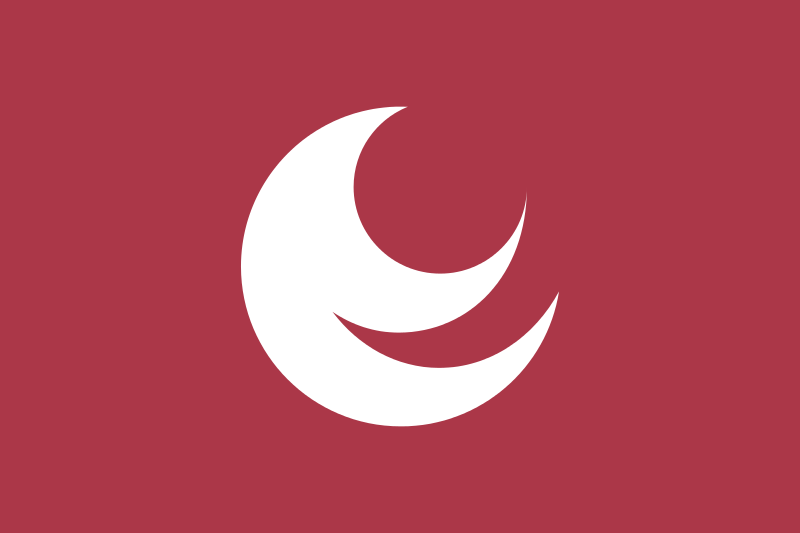 The emblem also expresses sunrise and an ocean's wave to indicate Aichi's location facing the Pacific Ocean. Fukuoka, a stylised hiragana of ふく (fuku). It also represents ume (plum), the prefectural flower. Aspects of each of the designs is shared across the series of marks which allows for the shared visual unity. The scale and placement of the mark inside the boundary, the logos are centred and of similar height and width, which creates similar sized borders within each flag thus each flag has the same visual weight or power. The designs are of consistent complexity, with just one concept being illustrated in each, often of the prefectural flower or birds-eye view of the prefecture's capital city. Corporate identities must have brand usage systems and guidelines to ensure their brand is consistent across multiple touch-points, medias and geographies. Hiroshima, a stylized katakana of ヒ (hi). Kagawa, a stylised and slightly rotated katakana of カ (ka). It also represents mountains, as well as leaves of the olive, the prefectural tree. The use of simplistic colours palettes, the mark is often in white against a darker, muted background with each flag no more than three colours. The colour palette is muted, considered and restricted. Each flag looks complete alone, or as grouped against a number of other logos. Within corporate identity design, critical use of colour translates maturity and trust to the viewer. Saga, the mon is Japanese cinnamon, the prefectural flower. Ōsaka, the blue stands for cleanness, freshness and intelligence and also represents the sky and sea due to Ōsaka City having both an airport and seaport. 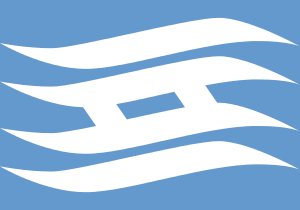 The blue also represents Ōsaka's nickname water city, due to having many rivers and facing two seas. The mon represents calabash, the symbol of Toyotomi Hideyoshi. Circles also mean the letter O. 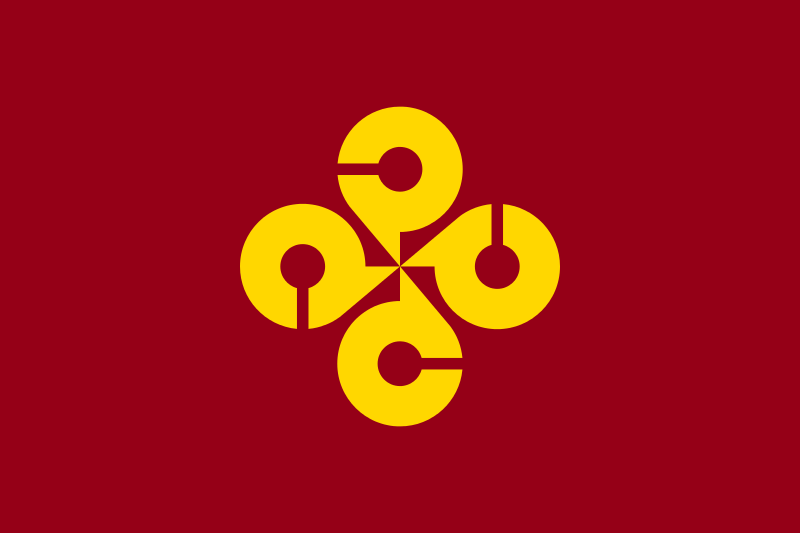 The use of symmetry in many of the prefecture flags helps translate feelings of completeness and unity. Corporate identities that utilise these ideas include Pepsi, AT&T, Vodafone, General Electric, NASA, LG and Yamaha. 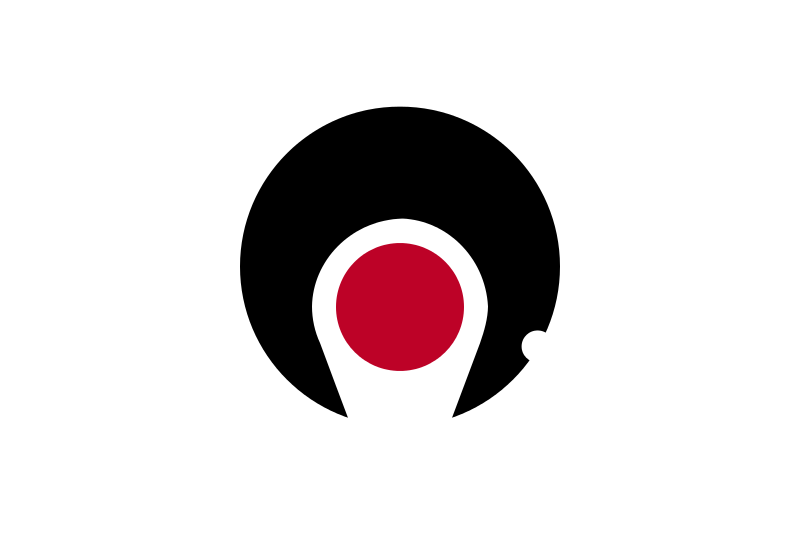 Okinawa, a white letter O within a red disc on a white field. Ibaraki, the prefectural flower rose on blue field. Blue stands for the Pacific Ocean and Mount Tsukuba. 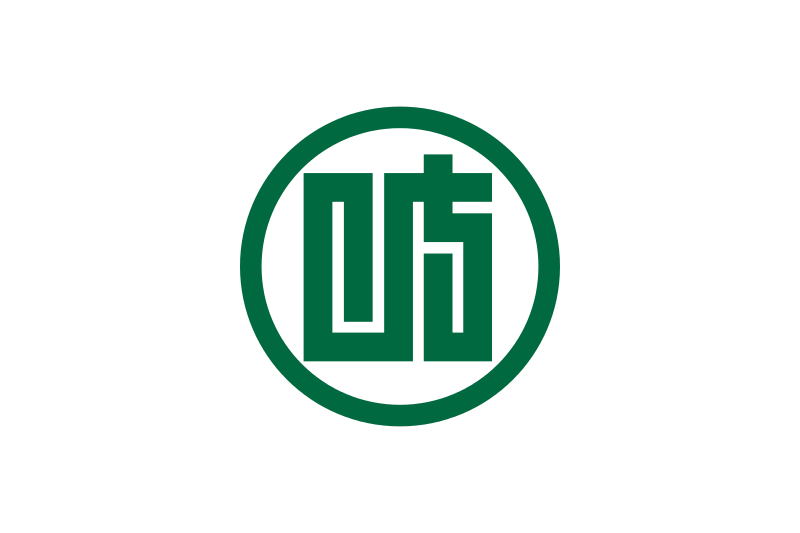 Kyoto, a stylized kanji of 京 (kyō). 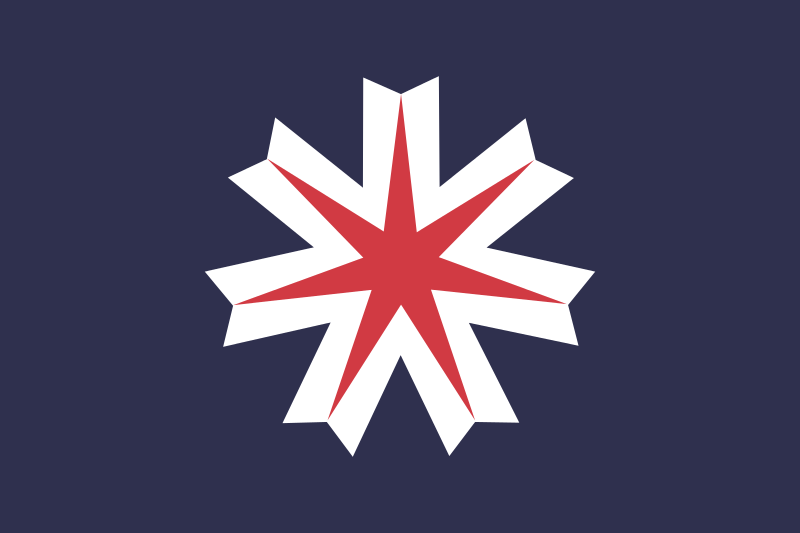 Hokkaidō, a seven-pointed star standing for hope and development. Blue represents sea and sky of Hokkaidō, red stands for people's energy and white for light and snow.